Do cops have First Amendment rights? Considering the fact that they are American citizens, with rare exceptions, one would assume the answer would be yes. But then one imagines a uniformed police officer telling a racist joke at a predominantly black community meeting and it gets a little more complicated. There are the issues of “conduct unbecoming,” the fact that police officers are “always on duty,” and let’s not even open the cans of worms that are Facebook and Twitter. So, it’s very complicated. But surely there are lawyers that would be able to set us straight on this stuff right? After all, we are a nation of laws, not men. The Wall St. Journal’s Law Blog recently decided to find out exactly what the nature and limitations of police officers’ First Amendment rights are all about. “The answer is nobody knows,” UCLA law professor Eugene Volokh told the Law Blog. That’s because it’s kind of confusing when an off-duty cop, at a fellow officer’s funeral, is protesting as a “private citizen” while in uniform. I wouldn’t trust lawyers anymore the I would AL SHARPTON, JESSE JACKSON, BARK OBAMA, OR ANY OTHER LOUD MOUTH STARTING ALL THE RIOTS. 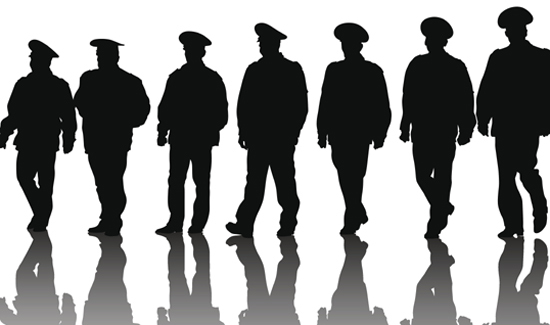 If an officer is wearing the uniform, most citizen’s would assume that they are on duty and representing their agency. What one says or does while in uniform is the officer’s responsibility. The words or action of the officer in uniform should not be protected. Departments must create legal policies of when and to what extent the uniform can be worn while off duty or during other legitimate times without violating anyone’s rights. There must be clear ethics and uniform policies. Officers should also use caution with who they associate with on or off duty.